AboutCallingCards.com is the most complete guide to prepaid international calling cards on the internet. 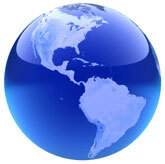 It is part of CallingGuides.com, a network of over 50 sites dedicated to international calling. In addition, AboutCallingCards.com contains in-depth, unbiased calling card reviews and ratings comparisons. Our calling card reviews cover many of the most popular calling card companies, including Pingo.com, and PennyTalk.com, among others. AboutCallingCards.com also rates and recommends specific calling cards to our visitors. Our ratings are updated annually based on a thorough, data-driven analysis which we document thoroughly on the site. The results include one company that is given our "Editor's Choice" rating as well as several others that receive our "Best Buy" rating. If you have questions or comments, please leave a comment below - or email us at: info [@] CallingGuides.com.